Why do my laboratory freezers and refrigerators require regular maintenance? Investing in the maintenance of your laboratory equipment will extend the life of the unit and reduce avoidable system failures. Well maintained equipment will run more efficiently, therefore decreasing utility consumption while prolonging the life of the unit. A maintenance contract is an economically sound method of ensuring continued operational oversight of your equipment. A maintenance contract will offer regularly scheduled preventive maintenance inspections while helping to control expenses. Each inspection is documented for your maintenance records. Do I need to use trained service engineers for my repair services? All maintenance and repairs to your equipment should be completed by formally trained and authorized service engineers. These service engineers have completed factory training and hold an EPA certification for the handling of refrigerants. This specialized training enables the service engineer to understand the characteristics of the equipment and the proper repair procedures to fix it correctly, the first time. What are some tips I can do to prolong the life of my laboratory equipment? 1. Maintain the ambient temperature where the units are stored. 2. Keep ice clear from the gaskets and doors. 3. Make sure the unit has good, stable line voltage. 4. 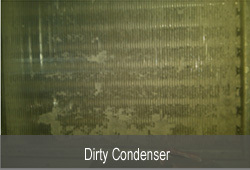 Keep the condenser/filter clean from dust and debris. 5. Keep space clear around the unit (front and back) to allow for proper air circulation. 6. Perform preventive maintenance inspections on a consistent basis. What can I do to ensure my lab remains environmental friendly? Control the length and frequency of door openings. Ensure the temperature setpoint is set for optimum efficiency. Open only the inner door or sublid needed to retrieve the specimens. 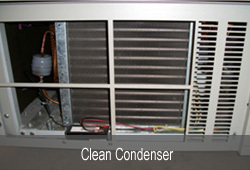 Remove boxes or any obstruction from condenser intake or exhaust. Keep unit at least 6” from the back wall to allow for proper air circulation. 2. Contract a qualified service center to properly dispose of laboratory equipment by recovering refrigerant and compressor oil, in accordance with EPA guidelines. 3. Recycle disposed units and parts to eliminate the impact in the landfills. 4. Schedule regular maintenance on all of your systems to ensure maximum efficiency to decrease power consumption.